$12.49 per pair List: $23.00, You Save: $10.51! 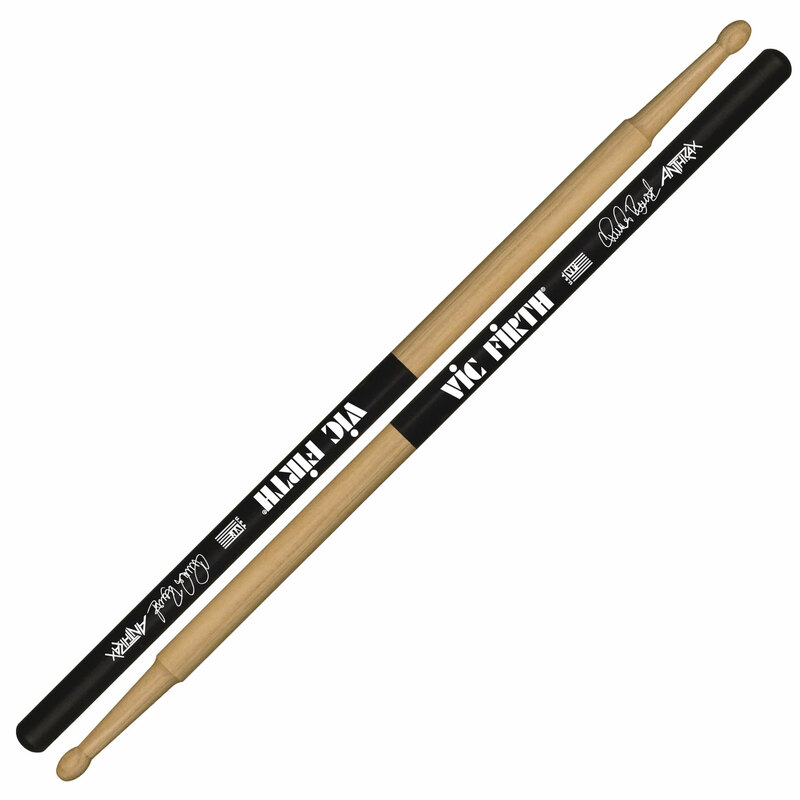 Vic Firth Charlie Benante Signature drumsticks have a thick, heavy shaft that goes nearly entire length of the stick. The taper is drastically cut to give you the most weight up front but still retain a good rebound to get around the drums. 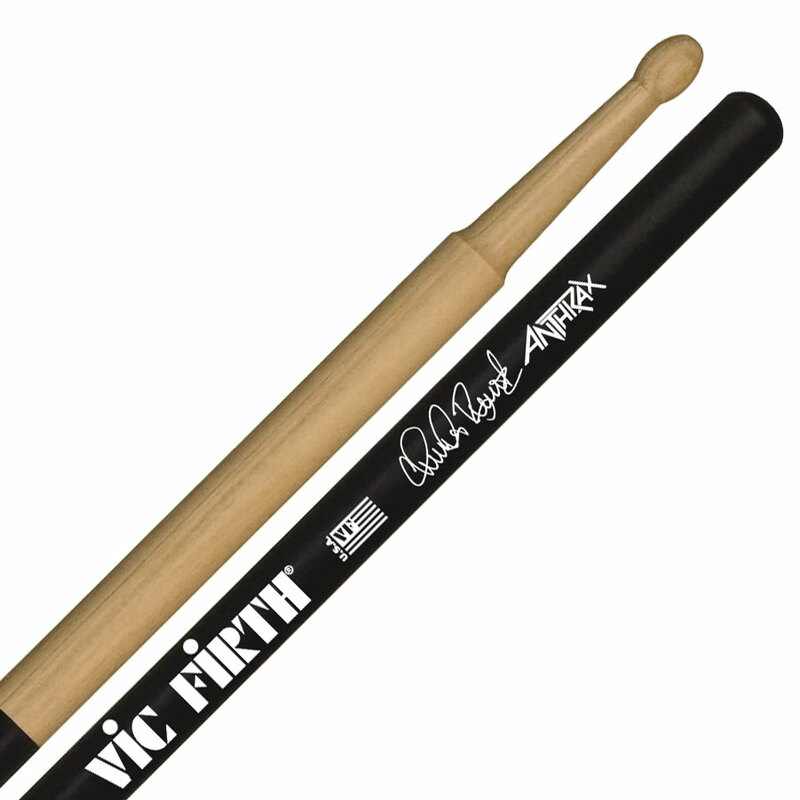 Black VicGrip coats the handle so you won't lose the sticks even if you're going totally metal on your set like Charlie does with Anthrax.